His glacier-blue eyes have pierced cinema screens as Jesus and as Mahler. 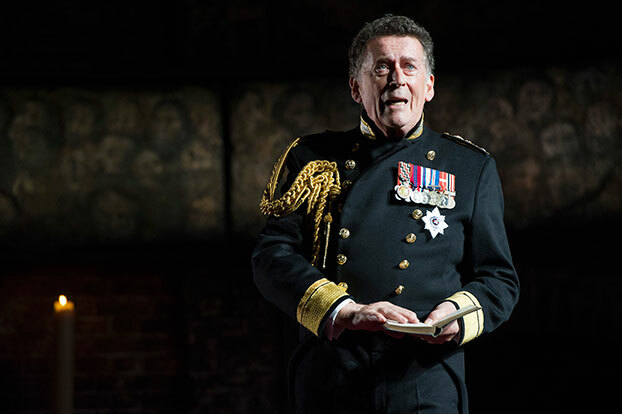 Now, legendary British actor Robert Powell plays a historical figure of the future – King Charles III. Born in Lanchashire in 1944, Powell went to school in Manchester, where he was classmates with Ben Kingsley (yes, a future Jesus and a future Gandhi once sat maths tests side by side). 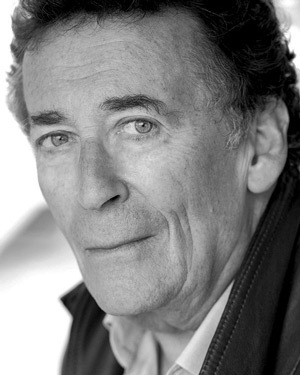 Working his way up through regional repertory theatre into TV and film appearances, Powell came to broader notice in the late 1960s and early 1970s with a small role in the original The Italian Job (1969) and a recurring role in the BBC’s Doomwatch (1970). In the mid-70s he began working with maverick film director Ken Russell, who cast him in Mahler (1974) and Tommy (1975). In Tommy, based on The Who's rock opera of the same name, Powell played Tommy's father Captain Walker. The role that made Powell an international star came two years later in Franco Zeffirelli's lush filming of Jesus of Nazareth (1977). In this 6-hour epic TV mini-series, Powell's Nazarene carpenter was flanked by an extraordinary cast featuring Anne Bancroft, Ernest Borgnine, Christopher Plummer, James Mason, Claudia Cardinale, Laurence Olivier, Anthony Quinn, Rod Steiger, Peter Ustinov and Ralph Richardson. Zeffirelli accentuated Powell's remarkable eyes with judiciuos use of eye liner and a direction not to blink. The role earned Powell a number of awards in Europe, a BAFTA nomination for Best Actor and entrée to Hollywood. But neither the culture of Los Angeles nor the roles on offer sat well with Powell. Rather than playing arch villains in Hollywood movies like many of his countrymen (cf Steven Berkoff, Alan Rickman, Terence Stamp, Donald Pleasance, Ian Holm et alia), Powell continued to work in Britain and Europe. Recently, Powell has had notable forays on the small screen – BBC's Holby City and the sitcom The Detectives stand out. And he has been a mainstay of the West End and major UK stage tours, with appearances in Singin' in the Rain, Sherlock Holmes: The Musical, The Picture of Dorian Gray, and Jeffrey Bernard is Unwell, as well as playing Hercule Poirot in Agatha Christie's Black Coffee. "It is harder than anything I’ve done in a long time. It’s so layered and complex and funny and brilliant and poignant and tragic. I think it is a masterpiece."